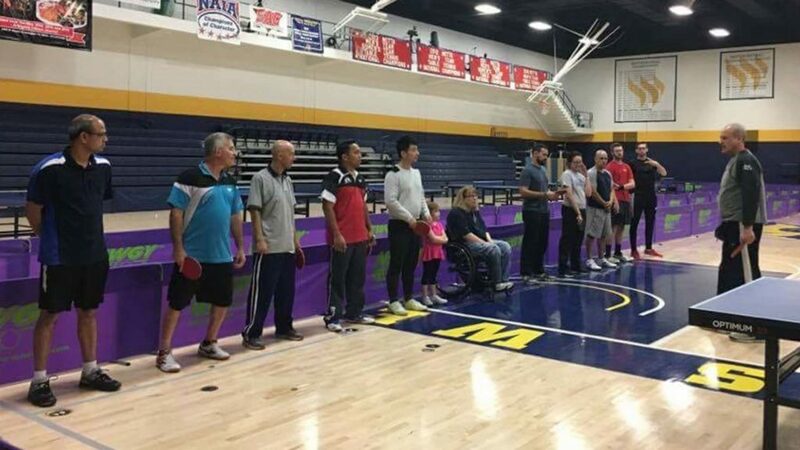 The university with the premier table tennis itinerary in the United States, initiated 16 years ago; located in Fort Worth, the Texas Wesleyan University hosted a recent ITTF/PTT Level One Coaches Course. Organised under the auspices of the ITTF Development Programme, proceedings commenced on Monday 13th March and concluded on Friday 17th March. A total of 12 students enrolled, travelling from Oklahoma and Arkansas in addition to the home state of Texas. Theory lectures took place in Texas Wesleyan classrooms; the practical part sessions in the main gymnasium, located on campus and where the college team’s main training site is based. All coaches were eager to learn more about table tennis from theory to practice. The five day ITTF/PTT Level One has become very popular in the United States. Now the United States has 221 ITTF certified coaches; it has the third highest number of ITTF certified coaches in the world after Egypt and Chile. Notably, the programme started only seven years ago thanks to an initiative from Richard McAfee, one of the most experienced Course Conductors in the world; from that point the programme has exploded. The formula with almost exclusively self funded courses has been a true success. 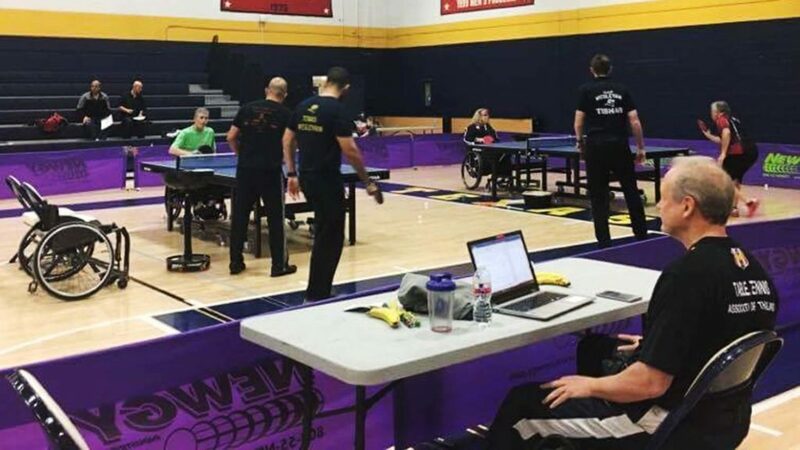 The Texas Wesleyan University Table Tennis programme is spearheaded by Jasna Rather, an excellent ITTF course organizer, the University being an ideal place for ITTF coaching courses. Currently, the program has 48 members on their Varsity and Junior Varsity male and female teams. Texas Wesleyan team members Sean (Shuai) Wang, from China, current National Men’s Doubles champion, Emil Santos from the Dominican Republic, the 2013 Men’s Singles College National Champion and Tina Huynh, from Vietnam, first year member of the team, attended the course. Also, Pam Fontaine won the award as best coach in class. A Class 3 athlete, she represented the United States at the London 2012 and Rio 2016 Paralympic Games. Furthermore, she is a professor at the Texas Wesleyan University teaching Kinesiology. It is the first time a Para coach has entered the programme in the United States, on top of that being best in class, shows that we need more coaches who are Para athletes. We hope that Pam will progress to the next level and enter the Level One Course Conductor training next time it is offered. The International Table Tennis Federation, as yet, does not have any course conductors who are Para athletes; so with Pam’s background as a University Professor she would be the ideal candidate. Having Pam take part in the course, the Para Table Tennis Day became very easy to understand. Jim Secrest a Class 2 athlete and many times a United States National Team member was also present to give training on how to coach Para athletes. Additionally, Jasna Rather’s daughter, Isabelle, five years old, was the best ever addition to the practical training. The Level One course focuses on how to train players from the age of five to 10 years old. We many times forget how short a five year old is in stature and that they have a totally different prospective of the world. Levis, the son of coach, Nelson Ramos, eight years old, also helped out as a practice partner. 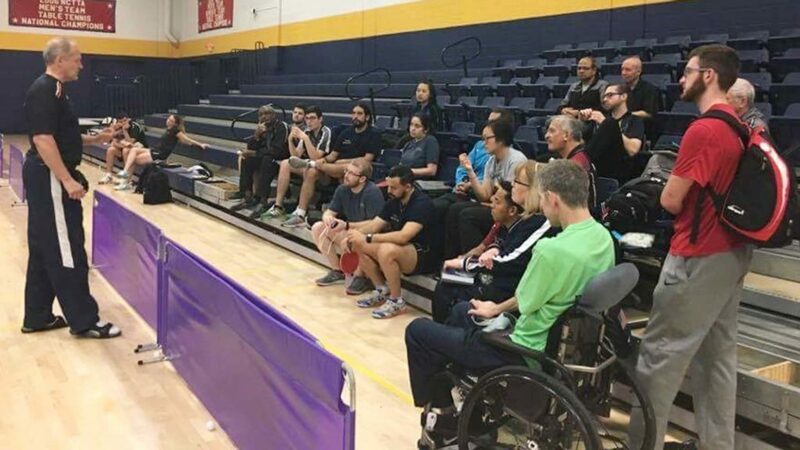 Now we look forward to an ITTF Level Two Course, planned for Friday 28th July to Wednesday 2nd August, the Texas Wesleyan University will be the home.